A night splint for a pain free sleep from plantar fasciitis. Adjustable brace which fits almost everyone comes in one size only. Straps that is easy to adjust on your foot and help in maintaining firm position. Due to adjustable straps it also helps a patient to walk while wearing it. which is made out of breathable material, creating a comfortable feel for a good night sleep. Hinges that are flexible and the patented for this brace they take the shape of your calf and your foot for comfort. Cushioned pad extends a more comfortable feeling. Instead of a slide on brace this one is a wraparound splint making it easier to put on or take it off. Flexible and can be either worn on your right or your left foot. excellent product for planter fasciitis! the product works at night time helps me in having a good night sleep finally! I had terrible plantar fasciitis in my left foot and was in excruciating pain especially during mornings. My friend recommended me this product and after using it for few nights, my pain subsided. I can wear it all night without any discomfort. It is so light and easy to wear. It really worked for me. 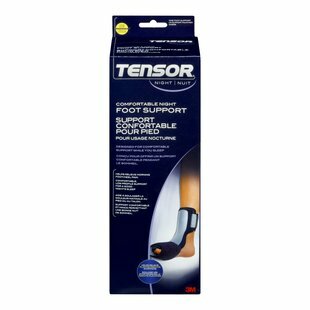 I will definitely recommend this product to anyone who is suffering from plantar fasciitis. This product is highly recommended to all thore suffering with Plantar Fascitiis. It is so comfortabe,light and easy to wear even all night long. I could barely walk as I was diagnosed with plantar fasciitis. I checked this splint online but was not sure that whether it can help me out or not but thanks to the staff of homehealthcareshoppe.com as one of them chat with me online and resolved all my queries and doubts. I ordered this product and thankfully it worked for me. There is so much relief in the pain. It is so comfortable, I can wear it all night long. It is a very helpful support. I you have this, what else do you need. It is wearable all night long without any discomfort. I can easily walk while wearing this. Recommended to all those suffering from plantar fasciitis. I used to feel pain while walking but after using this support brace, there is so much relief in the pain. I can walk with ease. So soft,comfortable,easy to wear and breathable brace. I wear it every night and it is comfortable to wear it all night long. I must say that this is the best thing for plantar fasciitis. Highly recommend this brace. I have been diagnosed with plantar fasciitis. There was pain in my heels and I could hardly walk. One of my friend suggested me to use this sleep support brace as she experienced relief after using this product. I also get benefited with it. This brace keeps the foot in proper position which in result heals the ligament. Significantly reduces morning pain. Lightweight and comfortable brace that provides the optimal support. It holds the foot steady and stretched without any extra effort. It helps to alleviate the pain. This brace made it easier to get out of bed and get moving in the morning.